Hey peeps! Today I wanted to talk about some of my favorite books I read last year because, well, why not? I loved them so much that I want to share with you all what they are and why I loved them. I already did a video version of this topic last month and just never got around to actually doing a blog post. So here we go! 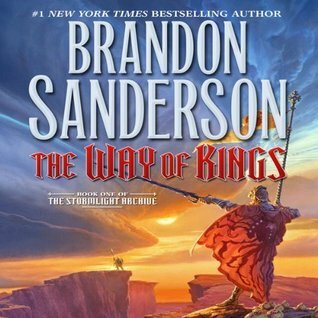 This first installment of the Mistborn trilogy was just amazing! It was epic in a way that I had never read before. 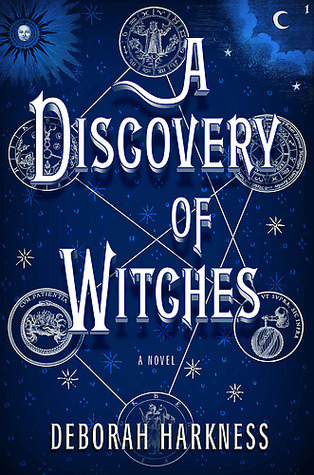 The plot was extensive, weaving so many aspects of the lives that were being lead together; the magical system was unique and defining, but not all powerful; the characters were differentiated by talent, personality, caste, and more; and it was just overall an amazing read. Highly recommended. Check out my review! I’ve said it before and I’ll say it again: the character arc in this trilogy was amazing. By far one of the best arcs I’ve ever read about. Juliette just proved how strong she was on her own without any guy to hold her down, and then the fights happened and the romance blossomed and the writing was incredible. This final installment of the trilogy was just amazing and I couldn’t recommend this more. Check out my review! As the second and third books in the Starbound trilogy, I just felt that these two were better than the first. The stories that were told were haunting, heart-breaking, intense, and fast-paced. The romances were ones that made my heart flutter and the worlds in which they lived in had me wondering about our own universe. The way that the story wound itself through these two and joined everyone and everything together was smooth and enticing. Also, have you seen the covers? Gorgeous! Check out my reviews here and here! As the first and second books in this trilogy of monsters and angels and humans, I was drawn in not only by the concept of the chimera and angels fighting against one another, but for the writing. Laini Taylor’s use of the English language is one that is beautiful and encompasses so much emotion and passion in every stroke. Not only that, but I found the characters to be engaging, the story to be different, and the romance to be one that stretches beyond time. Check out my reviews here and here! As the fourth installment in my favorite fantasy series, of course I loved this book. It wasn’t without its problems, of course, but it was just everything I wanted and more from this series so far. There’s action, adventure, deceit, romance, death, magic, and more. Loved it and can’t wait for the next one. Check out my review! My first audiobook experience and it also became one of my favorite books. This story is one in which a princess runs away from marriage and tries to build a new life with her friend, but ends up in a much bigger plot than she could have imagined. The audiobook was told in three perspectives and the actors did well with changes of voice and pronunciations. I loved the story and the characters and it’s just a beautiful tale of lies, love, friendship, and the need for freedom. Check out my review! This debut novel was amazing from start to finish. Set in an ancient Rome-esque society, there is brutality in the land, slaves, warriors, a fight for freedom, hints of magic, and so much more. Honestly, how is this a debut? It’s so good! I’m also really glad that the second book will be coming out later this year because I need it now. Check out my review! This. Was. So. Cute. I was squeeing and laughing out loud so much from this book and I am so glad I picked it up. This book is a coming out story and one that kids in today’s modern age can appreciate. With the use of the internet, two kids from the same school are able to communicate with one another and get close with one another, falling in love though they don’t know who the other is just yet. It was so adorable and it just brought so much happiness to my heart. Highly recommend this one. Check out my review! This is the third book in the Mortal Instruments series, and when it was originally a trilogy I could see how this wrapped up the story beautifully. Not only were the characters coming in to their own, but the story was growing more and more exponential and the plot was becoming more and more twisted. This book holds hope, revenge, love, anger, and so much more. Honestly, a fantastic installment for the series. Check out my review! So I didn’t discover these two YouTube stars until I saw their book trailer, but I still really adore them! And I just needed the book. It’s a funny compilation of some of their best work, some fun facts about them, and some advice on making YouTube videos. I also got the audiobook, and it made the book 100x better. Loved it! Check out my review! The writing in this book is phenomenal! I loved the story, the characters, the twist of the psychics and the magic that lingers in the little town of Henrietta. The characters are all so intriguing and genuine and though I didn’t grow to love them until the second book, they were still etching their way into my heart. I highly recommend picking up this book and giving it a try. Check out my review! So there you have it! Thirteen of my favorite reads from last year. If you haven’t picked any of these up then I highly suggest you do; you won’t be disappointed! And if you are, well… sorry. What were some of your absolute favorite books that you read in 2015? Did you read any on my list? What were your thoughts? Let me know! This entry was posted in Fun and tagged 2015, adult, audiobook, books, contemporary, dystopian, fantasy, favorite, memoir, nonfiction, paranormal, read, reading, romance, sci fi, science fiction, ya, young adult. Bookmark the permalink.